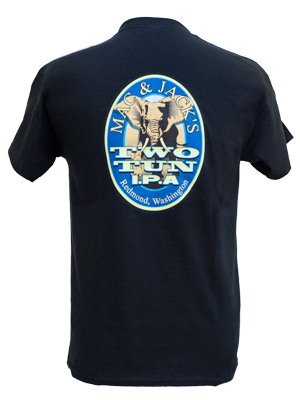 Black cotton t-shirt with "Mac & Jack's" in script on the front and the Two Tun IPA logo on the back. XXL is $11 for this item. Like us on Facebook! | Follow us on Twitter!